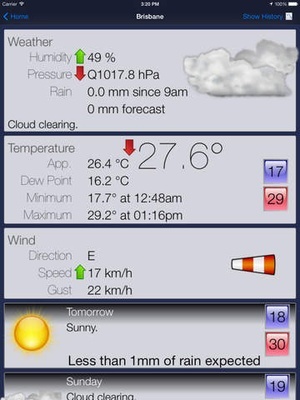 This app only shows radars and weather for Australia. What the other apps don't have. 1) It uses to show your location on the radar. 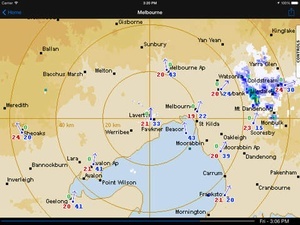 2) Oz Radar supports full screen landscape view. 3) National cloud and synoptic charts. 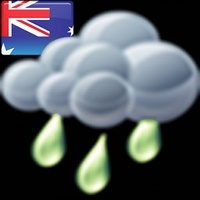 4) Local weather and rain forecasts 5) Rain notifications 6) weather warning notifications (But don't believe me, read the reviews) Oz weather radar allows you to view the (Bureau of Meteorology) weather radar information located through Australia. Each radar image can be panned and zoomed to get a better look at the area you are interested in. 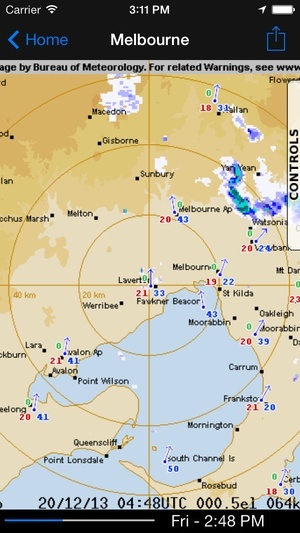 Approximately 50 radars cover a large proportion of Australia to bring you the most up to date weather information. 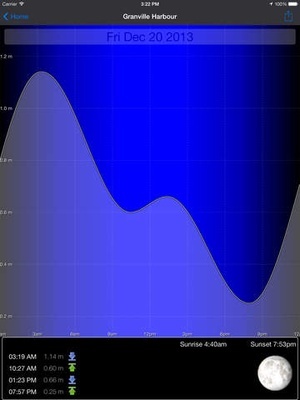 The information cycles through the last few images so you can get a good look at what is happening around you. All views show the latest feeds directly from the web site. Dedicated weather watch radars provide the most up to date weather information every 10 minutes and in some cases every 6 minutes. 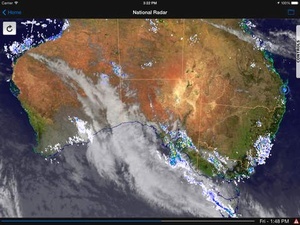 You can also view the last 6 hours of satellite cloud imagery that is taken every hour on the National view. 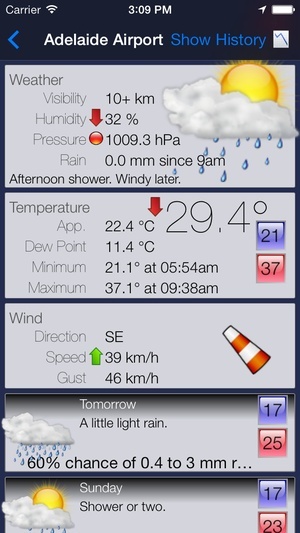 Features not seen in other apps include; Showing location on the radar map. Listing nearby radars Cached backgrounds for faster loading and less data usage Pinch zoom with drag panning Selection of surrounding radar by direction View Animated national weather chart Animated national synoptic chart (The one with the lines ad arrows) Weather readings from hundreds of weather stations. 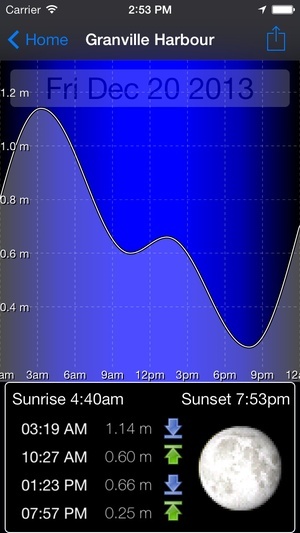 Weather forecasts for all over Australia Note This app uses background location to generate alerts of rain in your current area. 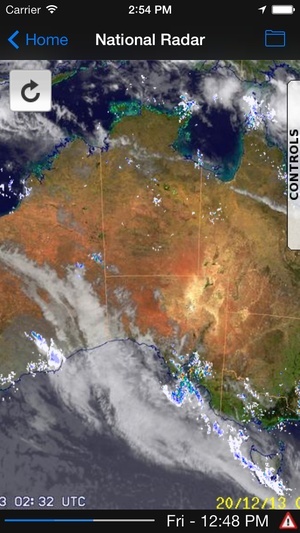 Check these links to find your download for Oz Radar Weather for & iOS or for your device iPod TouchiPhoneiPad. 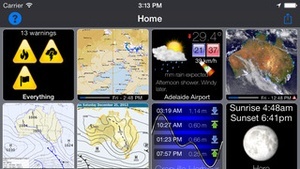 The app Oz Radar Weather is compatible with te following devices.